CMT-HADES2S is a high-temperature, high reliability single chip fully integrated gate driver specifically designed to drive wide-bandgap high voltage / high power transistors, in particular Gallium Nitride (GaN) and Silicon Carbide (SiC) devices. It offers the most compact solution available on the market thanks to its small size and the low number of external components it requires. It also features the highest output current in the industry for products of this type. 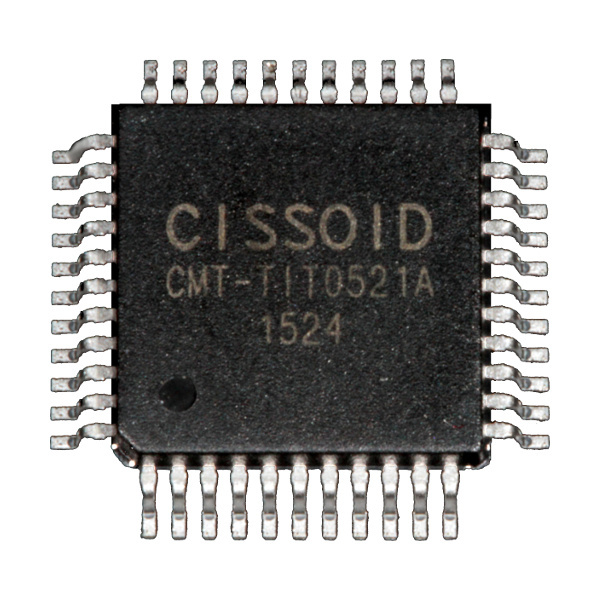 CMT-HADES2S can be used with standard silicon MOSFETs and IGBTs in standard temperature applications (e.g. 125°C) where it brings an increase in reliability and lifetime by an order of magnitude compared to traditional solutions. The circuit features push-pull transistors capable of sourcing/sinking up to 12A each. It includes as well soft-shutdown, under-voltage lockout, desaturation detection, Active Miller Clamping, over-temperature sensing and isolation interface to primary function. CMT-HADES2S can be used either stand-alone or in combination with CMT-HADES2P, which generates control signal to drive high bandwidth transistors. Propagation delay: 160 ns typ.